WARNING. Some of the images on this page are pretty graphic. I've used a trick to cover them up so the squeamish amongst you don't lose your breakfast. If you want to see them, click on the cover and they'll open up. Again, some of the images are really not nice. 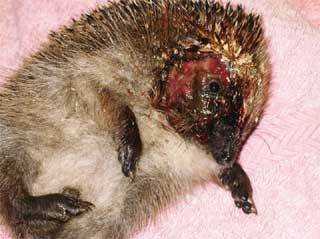 There are certain things which are either dangerous or going to cause serious knock-on effects for hedgehogs. All of these should be avoided. All stodge. Some high sugar. No nutrients. Fills them up and stops them looking for decent food. Positively dangerous. Hedgehogs, and most other animals after weaning, are lactose intolerant. The resulting diarrhoea can kill. High in Phosphorus, low in calcium. The parathyroid tries to balance both out in the blood and takes the calcium from teeth and bones causing metabolic bone disease (MBD). As with Mealworms, too high in phosphorus and too low in calcium. Peanuts can also get stuck in hedgehog's mouths preventing them eating. Often used the instant a hedgehog appears as the old wives tale about hedgehogs and fleas is still rife. Many vets will liberally apply it whether they see fleas or not. The fumes cause breathing difficulties and can lead to death. When your garden gets a bit out of hand I'll bet the first thing you do, in common with thousands of other people, is reach for the handy strimmer sitting in your shed. What? Not got a strimmer? Shears then. How often do you actually check what's in that long grass before you start? Not often I'll bet and that's why we get so many animals injured or killed. Those that are killed are probably the lucky ones as the injuries can be horrific. 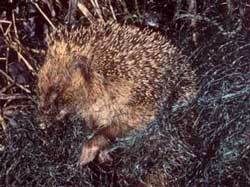 Hedgehogs will sleep out in long grass during the day in good weather. Ground nesting birds, rabbits, foxes all do the same. 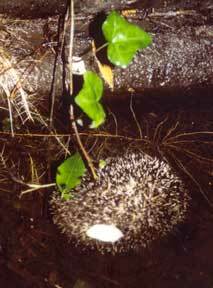 All but the chicks in a nest will run if you turn up with a stimmer but a hedgehog employs its usual form of defence and curls up. Sadly the spines are no protection against a flailing wire or sharp blades. A campaign has been underway for some time to get strimmer manufacturers to label their products with a warning but it seems they are reluctant to do so. Apparently, the possibility of shredding a hedgehog doesn't make for good sales, so what you don't know won't stop you lining their pockets. As per usual, until it hits them from a money angle, they won't act. Please consider signing the strimmer petition if you haven't already done so. It really isn't a big deal for these companies to put a small sticker on the handle of their products and it would save so much death and distress. The image on the left will take you to the petition site. Please click on it. So it's bonfire night, or one of the myriad of weeks either side of it when you like to go out in the freezing cold, stand in a muddy field and watch gunpowder exploding. It's even better if there's a nice big bonfire to keep you warm. 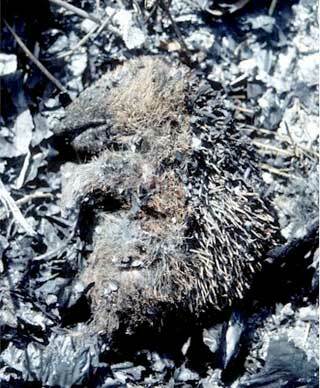 So you're stood warming your hands and having a lovely time, I wonder if it would be quite so good if you could actually hear above the noise of the fireworks, the screams of the hedgehog burning to death under the bonfire. If you're going to have a bonfire stack everything up out of the way then build it on the day you want to light it. If you can't do that then put fencing or some other protection, at least 2 feet high, all the way round it. Before turning over your compost heap by slamming a fork into it, just remember there could be a hedgehog or a mother and babies hiding in there. Take it as a compliment to your compost building skills and leave the little guys to enjoy it. They won't be there forever. How many of these mysterious black boxes have you seen lying around recently? If it's anything like this area, they're all over the place. They are rat bait boxes. I've spoken to many people about them and I'm constantly assured that they're made so that only rats can get in them. If you'd care to take a closer look at the photo of the open box, it doesn't take a rocket scientist to relalise that this is rubbish. Any small creature can get in them. In fact, being dark, hidden away in corners of the garden and dry inside, it's an ideal hidey hole for juvenile hedgehogs when they first leave the nest. Recent research has show that vast numbers of dead hogs taken for Post Mortem have rat poison in their stomach. The results, published this month in the journal Environmental Pollution, show that 80 hedgehogs, two thirds of the total, had been exposed to the rat poison. The number of animals affected is quite worrying. Please stop using slug pellets. The manufacturers only tell half the story and most of the products available on the market are not safe for wildlife or any animals for that matter. Are you aware that if your dog or cat eats them, they too will become extremely ill or die. But I always make sure the pellets are placed where only slugs can get at them I hear you say. Well great but how are you going to stop a hedgehog from eating the poisoned slug? There are plenty of other ways to stop slugs. Beer traps are one but I find them disgusting to clean out. Perhaps the best is a garlic wash, the recipe for which can be found on the web site of the National Hosta Collection. Let's face it, if anyone is going to have slug trouble it's them so it makes sense they know how to stop it. Any hole filled with water or capable of filling with water is dangerous. Yes, hedgehogs can swim, no they can't swim forever. If there is nothing for them to climb onto to get out of the water, they will tire and drown. If you have a pond with straight sides and no planting baskets near to the edge then please come up with some method of allowing animals to get out of the water. Stacks of bricks, a ramp, anything will do. When building a new pond, consider going for a wildlife pond rather than an ornamental one. Wildlife ponds have sloping edges and allow anything that falls in to escape, it also provides a much needed source of water for birds and animals in the summer when rain is in short supply. Cover any holes, ALWAYS cover open drains, the sides are too slippery for animals to climb out, you're also risking a visit from Mr Rat. Buckets and other receptacles left in the garden should be turned upside down so that they don't fill with water. A thirsty hedgehog will climb utilising the bucket handle as a step. Litter is a killer and not just of hedgehogs. Hedgehogs can get into things with no problem, it's when they try to back out the trouble starts. Their spines lock into place and they can't move, any hog in this situation will starve to death if it's not found. Don't drop litter. If you put litter into bins it can sometimes escape. Always explode a crisp packet before throwing it, cut through plastic can rings, squash polystyrene cups and rip them in half. Please make sure all garden netting is stretched tight and properly anchored into place. If possible leave an 8 inch gap between the bottom and the ground but if for some reason you can't do that, consider attaching the netting to metal bars and anchoring those into the ground. Consider replacing netting with animal friendly wire mesh. It's a heck of a lot easier to handle and it doesn't trap birds either. If you do find a wild animal trapped in netting, do not try to release it by cutting it free. The netting can cut off the blood supply and releasing it can cause further complications. Please take the hog and the netting to an expert who can check for injuries, starvation and dehydration. If I had a penny for every person who has told me they used to see hedgehogs in their garden but there's been nothing for the past couple of years, I'd be rich. I used to go trotting round to have a look to see what the problem might be. Now I just ask them when they had their fencing replaced. Let me spell this out. If you buy fencing with concrete footings no hedgehog can get in or out of your garden unless they use the gate, a parachute, or some tunnelling equipment. Not only have you stopped them getting in to your garden but you've also blocked their normal foraging route. If your neighbours have installed similar fencing then the hogs are either trapped in one of the gardens or they've cleared off elsewhere. Try making a tunnel underneath the concrete on each of your boundaries. It needs to be around 10cm (4 inches) square and lined so it doesn't collapse. 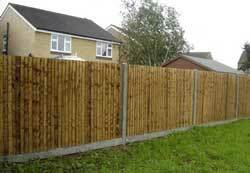 If there are any fencing contractors reading this, please put your brains in gear. Leave gaps so that any trapped wildlife can get out. Hedgehogs are now a protected species and you are really not helping matters. Dog attacks are now becoming commonplace and of course it's never the owner's fault. We get hogs in all year round that have been found by dogs that "wouldn't hurt a fly", "have a soft mouth" etc etc etc. These hogs usually come with deep tooth marks, broken legs, ribs, skull fractures and eyes missing. Please excuse us if we don't offer any sympathy about your vet bills for your dog's bloody mouth. Our vet bills are much higher and many of the hogs pay the ultimate price. If you know your dog is likely to chase small animals in your garden please put a muzzle on it before letting it out to play. Muzzles are not cruel - your dog is highly unlikely to need to defend itself in your garden. Your dog learned that LEAD! meant walkies and gets excited, he can also learn that MUZZLE! means play time. The Safety Muzzle for Dogs by Pets at Home is a comfortable, easy to fit nylon muzzle which is fully adjustable and designed to prevent chewing, nuisance barking and aggression. Muzzles are known to have a calming effect on most dogs and will help walking and training become more enjoyable for both you and your dog. 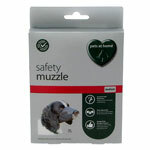 The Safety Muzzle for Dogs by Pets at Home is dog trainer approved and was designed by George Grayson - Chairman of the Dog Training Industry Association, UK. Deterring hedgehogs from our garden to save them! These are just the tip of the iceberg and it's always "an accident"
Hedghogs are experts at getting into trouble. If they can get stuck in it or fall into it they will. If you want to help them, think outside the box. Look at everything inside out and upside down. And just remember, even when your garden is completely hazard free and there is no possible way a hedgehog can get into trouble, they'll invent a new way.